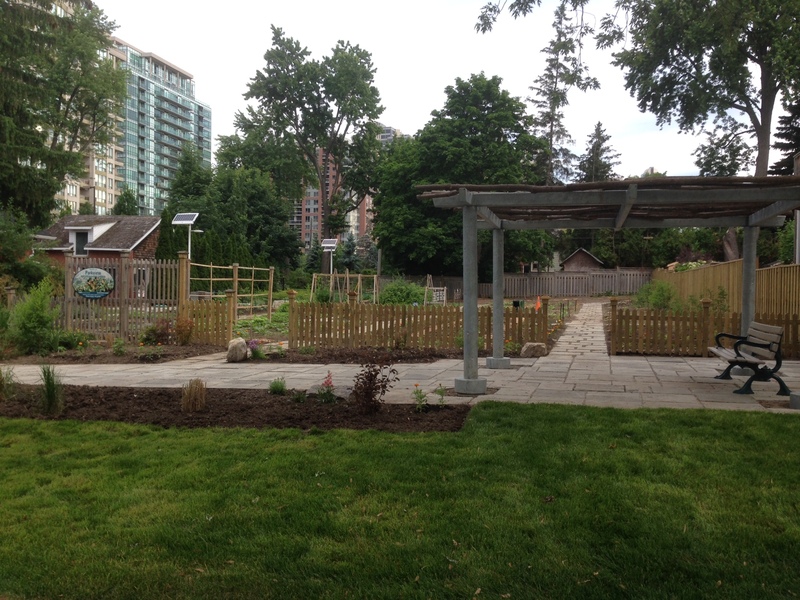 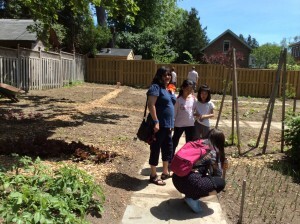 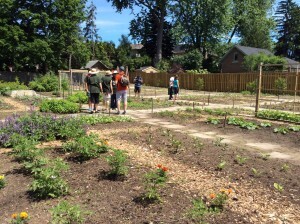 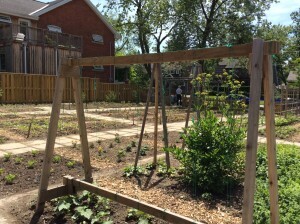 The expansion of Parkview Neighbourhood Garden is complete. 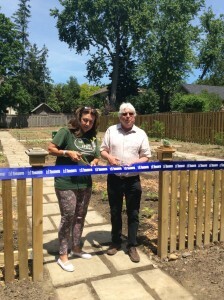 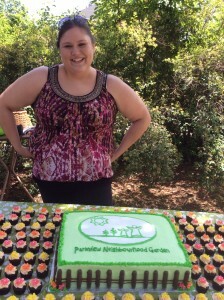 The plants are planted, watered, and weeded, and the ribbon has been cut. 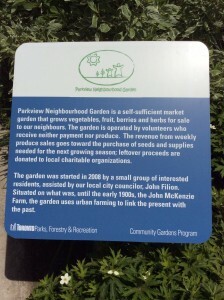 Lynne Kozina, chair, Parkview Neighbourhood Garden spoke and thanked customers, volunteers, city parks, and John Filion, Councilor Ward 23, Toronto, for his stewardship in acquiring the land. 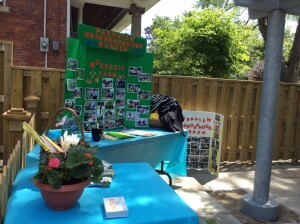 John Filion spoke of how the garden started as a “grass roots” organization in 2008. 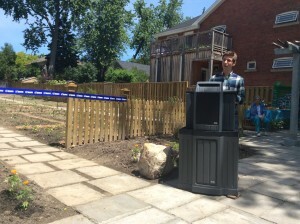 He thanked former Mayor David Miller for planting the germ of the idea and John Filion, subsequently, saw the potential in the city park east of John McKenzie House on Parkview. 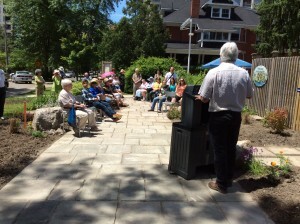 Chris Nitsopoulos spoke eloquently on the healthy partnership between the Ontario Historical Society in John McKenzie House and the garden. 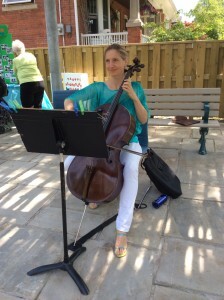 Cello music by Mary-Katherine Finch of Lush Cellos provided an elegant tone to the garden party and a custom cake was catered by Lizzie’s Confectionaries. 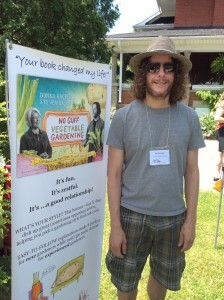 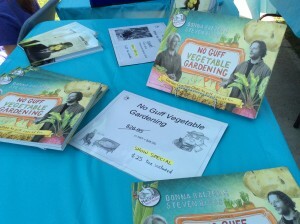 Steven Biggs, local gardening author, No Guff Vegetable Gardening, was on hand, as was the North York Garden Club, and the Ontario Historical Society.